Dr. Michelle Dean received her DDS degree from the UCLA School of Dentistry in 2011. Realizing her passion for working with children, she completed UCLA’s two-year specialty program in pediatric dentistry in 2013. Known for her calm, kind and nurturing nature, she is committed to providing the best quality care in a fun, warm and inviting environment. As a mother herself, she understands the importance of using a family-centered approach and is deeply dedicated to helping guide her patients in obtaining the best oral health possible. 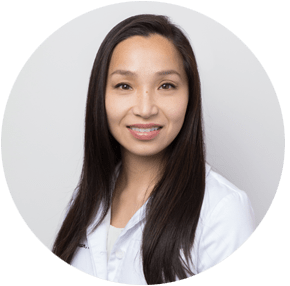 Dr. Dean is a happily married mother and when not practicing dentistry, she enjoys the simple comforts of life which include spending time with her family, trying new cuisines, catching up on new television series and movies, traveling and just having a good laugh.